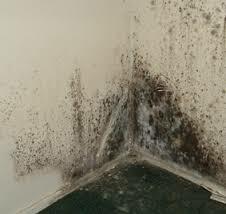 Here is an interesting NHS article on Damp and Mould. “If you have damp or mould the first thing to do is find the cause. Damp and mould can affect your health, so it’s important to get rid of it. Excess moisture indoors can also be caused by condensation. Condensation forms when the air indoors can’t hold any more moisture. Cooking, showering, drying clothes indoors and breathing without adequate ventilation can all cause excess moisture. Droplets can form on indoor surfaces such as mirrors, windowsills and on walls, particularly when they’re cold. Repairs may be needed to get rid of any leaks or to improve ventilation. Once your home has been repaired, or if your home is damp because it’s newly built, it may take weeks of heating and ventilating it to dry it out. Once you’ve identified and fixed the source of moisture in your home you can get rid of any mould. You may be able to remove mould yourself, or you may need to get a professional to remove it. Only remove mould yourself if it’s caused by condensation and covers an area less than one metre squared (1×1 metre or 3×3 feet). Don’t try to remove the mould yourself if it’s caused by sewage or other contaminated water.